With every passing year, technology has been improving and malware has evolved with it, creating more sophisticated attacks to penetrate security systems. With hackers and cyber thieves constantly changing their tactics, organizations are struggling to keep up. Don’t let your organization fall behind though. 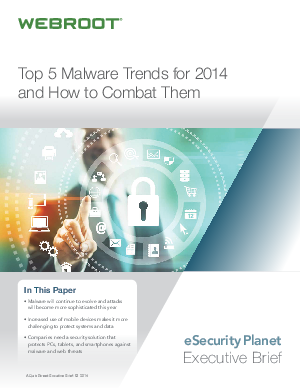 Download this whitepaper and see how you can better understand the top 5 malware trends of 2014 and how your organization should prepare to combat them.